Do you feel stressed out and tired when you can’t be out in your gardens during the winter or when the weather is bad? If you need to be able to relax and enjoy nature, you may want to consider adding a conservatory to your home. If you are on a budget, you may think that a conservatory is much too expensive to even consider. However, unlike some other types of conservatories and sun rooms, aluminium conservatories are so reasonably priced that most homeowners can easily afford them (cost guide here). Aluminium conservatories combine weatherproof living with plenty of windows, so that you can still enjoy looking at your gardens in chilly or damp weather. In addition, many tropical plants thrive in all of that natural light that comes through the windows in conservatories, so you can surround yourself with lush foliage and exotic flower blossoms even in mid winter. The aluminium framework is durable but lightweight, which makes it very flexible to design with. 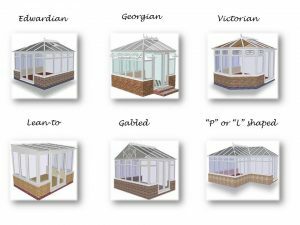 You can choose from a range of conservatory styles, from a Victorian design to a simple lean to. You can even choose to replace the three exterior walls of a room with conservatory walls to create a conservatory that is part of the house. Some conservatories have a solid roof, while others have a roof made of glass. If you are concerned that all of that glass will make your home hot in the summer and cold in the winter, you will be happy to know that almost all of these rooms are made with insulated glass, which filters out both the heat from the sun’s rays and the winter cold. For even better climate control, you may want to consider installing conservatory blinds. While placing a conservatory on a pre-existing surface is a bit easier, you can still build a foundation for the building if you do not have a concrete patio or a deck already in place. However, most aluminium conservatories are built on a concrete patio or deck that already adjoins the house. This is usually because the homeowners discover that they are unable to use their patio or deck during a large part of the year because of inclement weather. Once your aluminium conservatory is in place, you may want to consider shopping for some conservatory furniture. Make sure you look for comfortable pieces, since you will probably find yourself spending quite a bit of time in this relaxing room.